You found it! 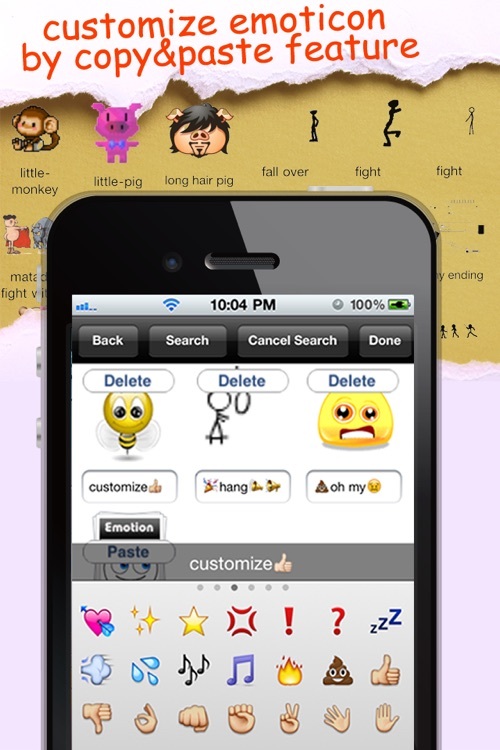 The best animated emoticon and emoji app in the App Store! 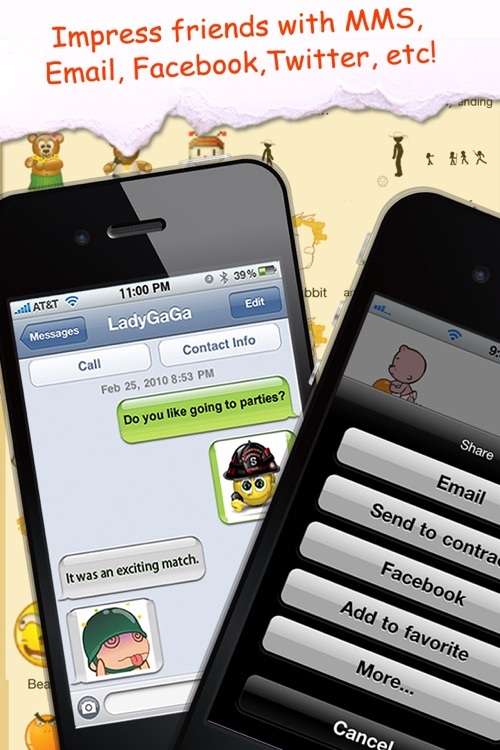 Use them for SMS, Facebook, Twitter, Email, Notes! 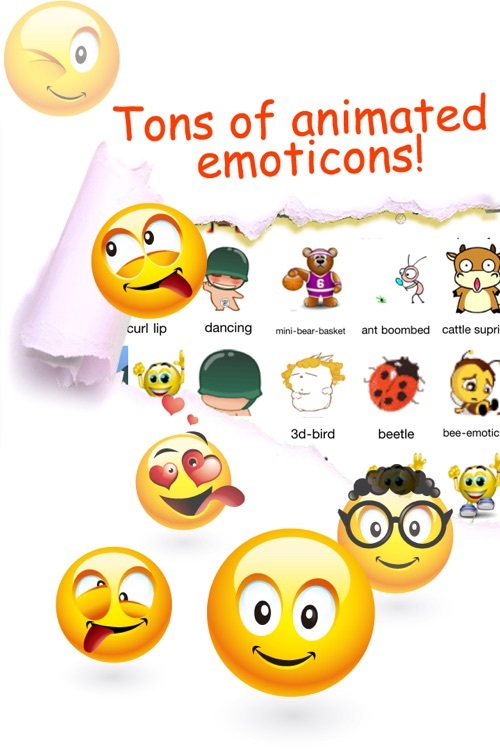 Style & Spice up your boring MMS & Email messages with the highest quality, hilarious & fun 3D Animations! 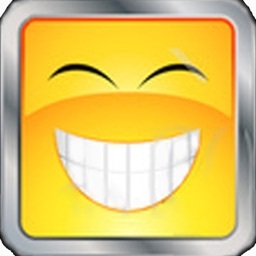 Your amazing MMS Text Message, Email will bright your friends, family members,colleagues day! 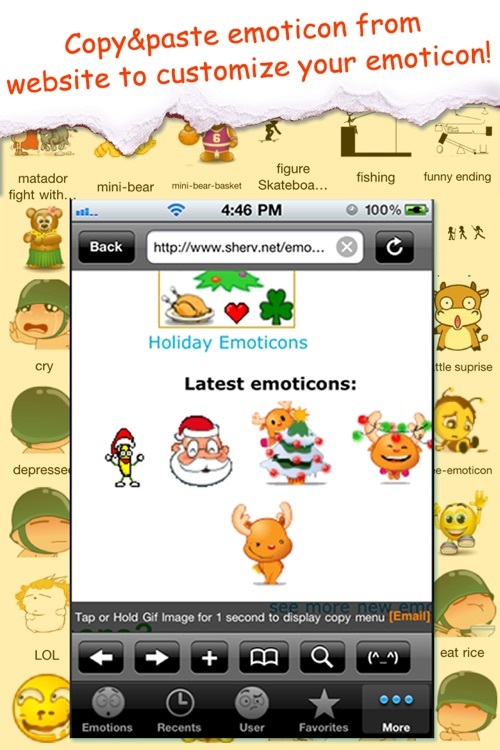 You can easy to use, quickly access, search, add to favorite all animated emotions offline. - Define yourself emotions by "Create category" function. 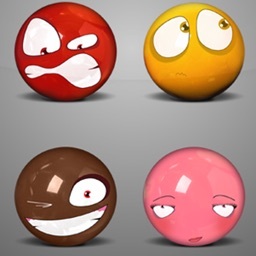 - With define yourself emotions functions you can have endless animated emotions! copy gif pictures to define yourself emotions. # This app doesn't provide MMS service. 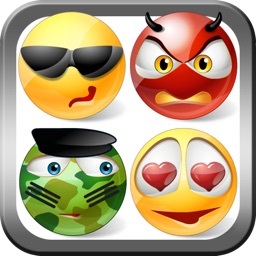 So you should have MMS service enabled for your device firstly, Then you can send, receive MMS messages with Animated Emotions! content size limited at "setting" on iPhone desktop! 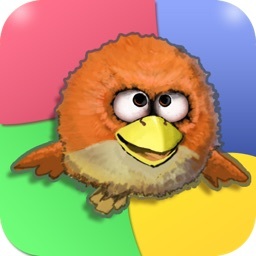 This is lite version, if you like it, you can try our full version!